August 1-7 is the World Breastfeeding Week. 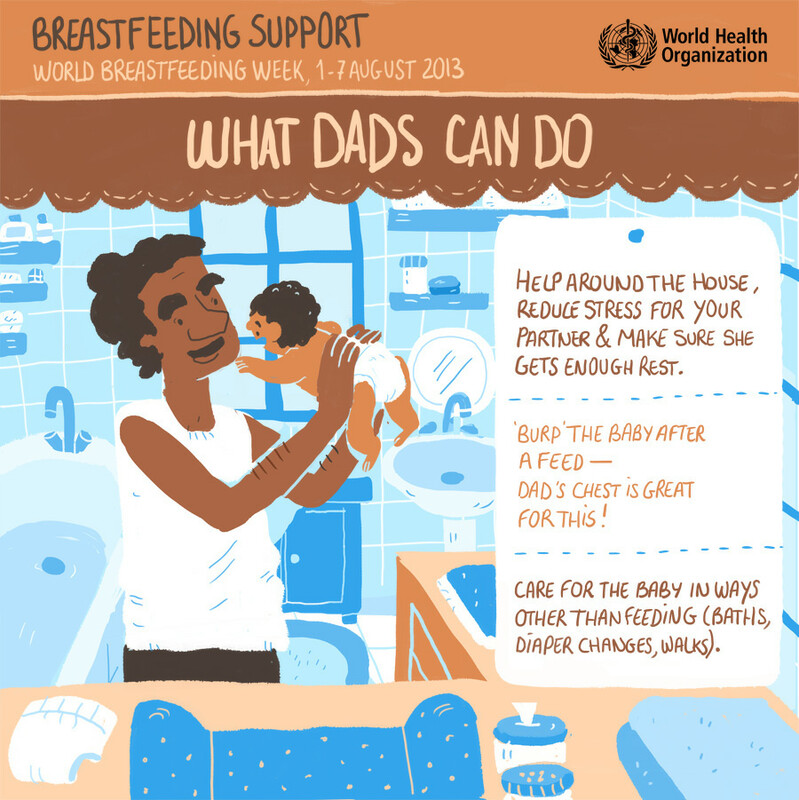 "World Health Organization":http://www.who.int/mediacentre/events/meetings/2013/world_breastfeeding_week/en/ teams up with JESS3 to create series of snackable graphics to encourage breastfeeding and support moms to do it. The graphics are available in Arabic, Chinese Mandarin, English, French, Russian and Spanish. The breastfeeding series introduces tips to support moms for breaskfeeding by using friendly tones and cute hand-drawing style. The series features guidances for breastfeeding moms, advice for new dads, suggestions for friends/family, and recommendations for colleagues in workplace. 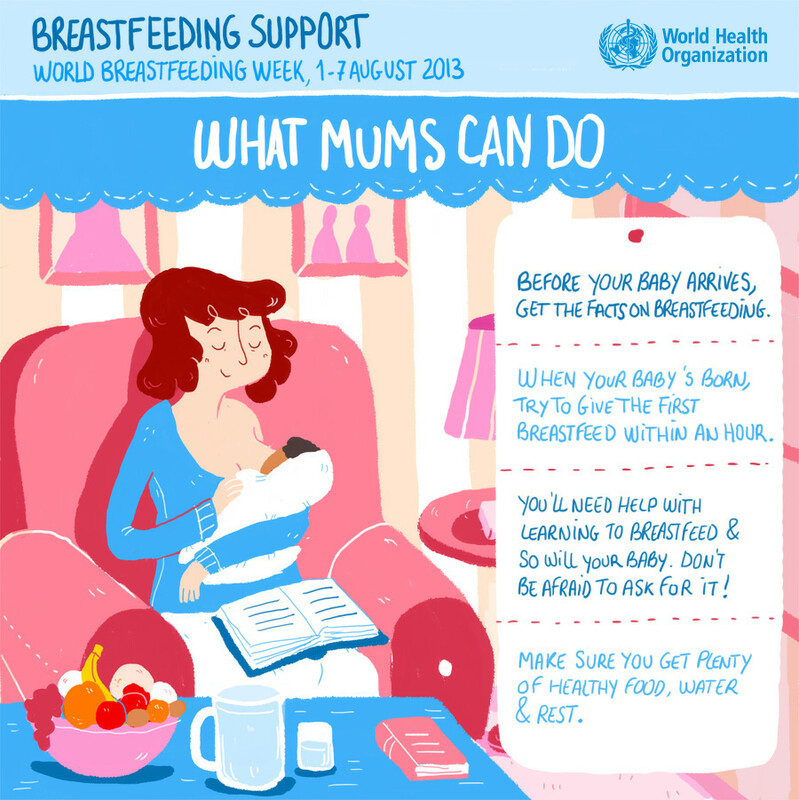 The series are primary used to reach out to external audiences during World Breastfeeding Week, especially through Facebook to raise awareness of the need to support breastfeeding moms. The graphics has resulted in increasing social engagement on WHO's "Facebook":https://www.facebook.com/WorldHealthOrganization account.